Have you taken the AWOL User Survey? The online Collections Search has been updated with a smart tab feature to improve efficiency and user experience. Users will no longer find a search all tab after queries. Only tabs with results will be displayed and tabs without results will be hidden. Further, facet tools on the right side of the page will now always be visible following a query. Another new feature is the ability to search all the collections for items with multimedia. Over 50,000 multimedia images are available between the Research Archives, Museum Archives, and Photo Archives collections. In the seventh century BC the Assyrian monarch was the most powerful human being in the whole Middle East. Hundreds of letters, queries and reports survive from Neo-Assyrian capital of Nineveh PGP in northern Iraq. They show scholars advising the Assyrian royal family on matters ominous, astrological and medical, often with direct impact on political affairs. Along with court poetry and royal prophecies, they give an extraordinary vivid insight into the actual practice of scholarship in the context of the first well-documented courtly patronage of scientific activity in world history. These letters, queries, reports, and other materials were first published in the State Archives of Assyria series. They are reproduced here with the kind permission of the authors and the The Neo-Assyrian Text Corpus Project (NATCP). Copyright remains with the authors and the NATCP. They may not be reproduced for non-educational purposes, beyond fair use, without the permission of the authors and the NATCP. Browse or search the letters, queries, and reports, etc. The Polish Centre of Mediterranean Archaeology returned to re-excavate the site of the Central Palace of Tiglath-pileser III (744-727 BCE) at Nimrud (ancient Kalhu) near the city of Mosul in northeastern Iraq in 1974, because the Palace was the least known and least understood of the buildings on Nimrud's citadel. It was hoped that new excavations would elucidate this poorly preserved Palace with more up-to-date excavation techniques and new finds. The excavation was supposed to make the Central Palace a source for the study of the life and times of this important ancient Assyrian king. Many fragments of Assyrian bas-relief, not only those of Tiglath-pileser III, were discovered, some re-excavated in the trenches of the previous excavator, Austen Henry Layard. Then the field director, Janusz Meuszynski, died in 1976, and the final reports were never completed. There are too few examples of Tiglath-pileser’s bas-reliefs in the total corpus of Assyrian bas-relief to allow the results of the Polish project to remain unpublished. The Polish finds are an extremely valuable resource. An additional and disturbing fact is that individual bas-relief sculptures (some with inscriptions) have been appearing on the antiquities market, looted from the site museum storerooms at Nimrud. Some of the bas-reliefs have been broken up into pieces to obscure their origin and in order to obtain more money from several rather than from the one original fragment. Many of the better examples of bas-relief from this excavation are now on the international art market as a result of illicit activities (theft) at Nimrud subsequent to the Gulf War of 1991 (there is increasing anxiety among scholars -- expressed in a 2003 interview -- that war in Iraq will lead to further destruction of key monuments, like those at Nimrud). What we know of Tiglath-pileser’s Palace is that many of the themes of earlier and later sculpture are to be found on its wall decoration. And, there are new motifs and the syntax of the sculpture, the way scenes were portrayed, the placement of the vignettes of individual parts of scenes on the faces of the slabs, and details of the garment decorations have their own character and style. 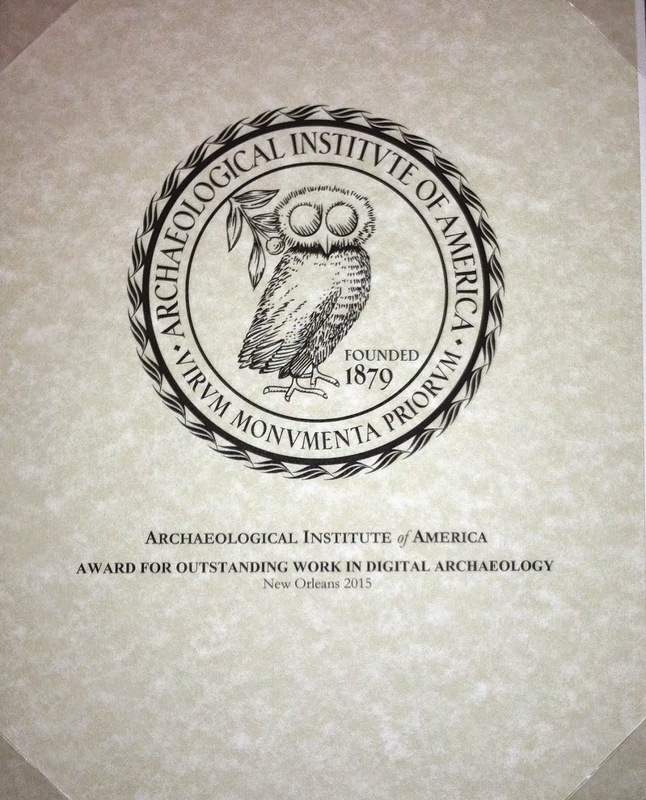 Richard Sobolewski and (the late) Samuel Paley were to publish the results of the excavation in digital format with top plans, photographs, and comparative material from museums and Layard’s archives. Learning Sites will finish the publication. The digital format will allow the reader to access all the relevant data through appropriate links from interactive 3D computer models of the remains and in reconstructed panels of the wall decorations. Fragments of bas-relief and inscriptions from the periods of Ashur-nasir-pal II and Shalmaneser III discovered during the course of the excavation will also be incorporated into this publication, as well as the scant remains of the post-Assyrian buildings built on the Central Palace site. The corpus of photographs of the Polish Center's excavation will be available permanently on this Website. The final computer model and the publication will be prepared, marketed, and distributed by Learning Sites, Inc., in collaboration with scholars from around the world. These Webpages will be where the computer visualizations of the remains, photographs, drawings, descriptions, and analyses will be collocated en route to their full publication. Material here will expand and change as the project progresses. From the Index above you may access the various pages of text and images. The research and compilation of the manuscript for this final publication were made possible through a generous grant from The Shelby White - Leon Levy Program for Archaeological Publications (http://www.fas.harvard.edu/~semitic/white_levy_program.html), and the generosity of the Polish Centre of Mediterranean Archaeology, the UB Foundation, and individual supporters. In addition, the Governor of the Erbil Province, Mr. Nawzad Hadi Mawlood, invited a Historical Research Team of the University of Athens in order to examine older and new theories concerning the location of the Gaugamela battlefield. K. Kopanias, J. MacGinnis. Eds. In preparation. Archaeological Research in the Kurdistan Region of Iraq and the adjacent areas. Conference Proceedings, Athens, November 1st-3rd 2013. Oxford: Archaeopress. Kopanias, K. Forthcoming. "An Attempt to Define the Ubaid and its Cultural Borders". In Bordered Places. Bounded Times. Cross-disciplinary perspectives on Turkey, edited by E. Baysal and L. Karakatsanis. BIAA Monograph series. London: The British Institute at Ankara. Kopanias, K., C. Beuger, J. MacGinnis, J. Ur. Forthcoming, "The Tell Baqrta Project in the Kurdistan Region of Iraq." In Proceedings of the Conference Provincial Archaeology of the Assyrian Empire, December 13-Saturday December 15 2012, organized by the MacDonald Institute for Archaeological Research of the University of Cambridge, edited by J. MacGinnis. Cambridge: McDonald Institute Monographs Series. Kopanias, K., S. Fox. Forthcoming. "Headshaping at Tell Nader." In Embodied Identities In The Prehistoric Eastern Mediterranean: Convergence Of Theory And Practices. Conference hosted by the University of Cyprus, 10-12 April 2012, Nicosia, Cyprus, edited by M. Mina, I. Papadatos, S. Triantaphyllou. Oxford: Oxbow Books. Kopanias, K. Forthcoming. "Archaeological research in Tell Nader and Tell Baqrta in the Kurdistan Region of Iraq." In EX ORIENTE LUX. Symposium about the Research and Teaching of the Egyptian, Near Eastern and Cypriote Archaeology in Greek Universities, co-organized by the University of Aegean and the University of Athens. Athens 20/5/2011, edited by P. Kousoulis. Athens: Papazisis [in Greek]. Kopanias, K., C. Beuger, S. Fox. 2014. "Preliminary Results from the Excavation at Tell Nader in the Kurdistan Region of Iraq." In Proceedings of the 8th International Congress on the Archaeology of the Ancient Near East 30 April - 4 May 2012, University of Warsaw, Τόμος 2, Excavation and Progress Reports, Posters, edited by P. Bieliński, M. Gawlikowski, R. Koliński, D. Ławecka, A. Sołtysiak, and Z. Wygnańska: 140-63. Wiesbaden: Harrassowitz. Kopanias, K., C. Beuger, T. Carter, S. Fox, A. Hadjikoumis, G. Kourtessi-Philippakis, A. Livarda, J. MacGinnis. 2013. "The Tell Nader and Tell Baqrta Project in the Kurdistan Region of Iraq: Preliminary Report of the 2011 Season." SUBARTU 6-7: 23-57. In 2012 a papyrus codex in the Beinecke Library at Yale University (P.CtYBR inv. 4000) was published. The codex contained roughly 60 new fragmentary epigrams in elegiac couplets, which were attributed by the editor of the editio princeps to Palladas of Alexandria. We present here the papers from the exciting two-day conference held at UCL in 2014. Experts on ancient epigram explore the new text from a range of perspectives, and discuss author, date, structure, historical, literary, cultural, textual and generic context. The papers will be of interest to students of the Greek epigram, Greek literary history, Greek literature under the Roman empire and manuscripts and papyri. Author: Kopanias, Konstantinos; MacGinnis, John; Ur, Jason Alik Note: Order does not necessarily reflect citation order of authors. Citation: Kopanias, Kostas, John MacGinnis, and Jason Ur (eds.). 2015 "Archaeological Projects in the Kurdistan Region in Iraq." The Directorate of Antiquities of Kurdistan. Dissertations (mostly) from Universität zu Köln under the subject "History of ancient world"
Aglan, Hisham Elsayed Abdelazim (2013) The Aspects of Animal Sanctification in the Graeco-Roman Monuments in Egypt. (Study in Classical Influences). PhD thesis, Universität zu Köln. Bataille, Guido (2013) Der Übergang vom Mittel- zum Jungpaläolithikum auf der Halbinsel Krim und in der Kostenki-Borshchevo-Region am Mittel-Don. Adaptionsstrategien spät-mittelpaläolithischer und früh-jungpaläolithischer Gruppen. PhD thesis, Universität zu Köln. Berns, Christof (1996) Semata. Untersuchungen zu den Grab- und Memorialbauten des späten Hellenismus und der frühen Kaiserzeit in Kleinasien. PhD thesis, Universität zu Köln. Burkhardt, Nadin (2008) Zwischen Tradition und Modifikation. Kulturelle Austauschprozesse in den Bestattungssitten der griechischen Kolonien in Unteritalien und Sizilien vom 8. bis zum 5. Jh. v. Chr. PhD thesis, Universität zu Köln. Dikbas, Gülsen (2008) Die Graue Keramik von Aizanoi. Von der späten Eisenzeit bis zur spätantiken Zeit. PhD thesis, Universität zu Köln. Dils, Peter (2000) Der Tempel von Dusch. Publikation und Untersuchungen eines ägyptischen Provinztempels der römischen Zeit. PhD thesis, Universität zu Köln. Fischer, Franz (2013) Magistri Guillelmi Autissiodorensis Summa de officiis ecclesiasticis. Einleitung und Lesetext der kritisch-digitalen Ausgabe ; guillelmus.uni-koeln.de. PhD thesis, Universität zu Köln. Helas, Sophie (1999) Die punischen Häuser in Selinunt. Wohnen zwischen punischer Tradition und griechischem Einfluß. PhD thesis, Universität zu Köln. Henning, Agnes (2001) Die Turmgräber von Palmyra. Eine lokale Bauform als Ausdruck kultureller Identität. PhD thesis, Universität zu Köln. Hissnauer, David (2013) Ein Werkstattbereich des 3. Jahrhunderts n.Chr. der römischen Sigillata-Töpfereien von Rheinzabern. PhD thesis, Universität zu Köln. Hoffmeister, Dirk (2014) Feasibility studies of terrestrial laser scanning in Coastal Geomorphology, Agronomy, and Geoarchaeology. PhD thesis, Universität zu Köln. Holzkämper, Jörg (2006) Die Konzentration IV des Magdalénien von Andernach-Martinsberg, Grabung 1994-1996. PhD thesis, Universität zu Köln. Iara, Kristine (2007) Die Bauornamentik des Hippodroms im Kaiserpalast auf dem Palatin in Rom. PhD thesis, Universität zu Köln. Ickler, Sonja (2007) Bronze- und eisenzeitliche Besiedlung im Stadtgebiet von Krefeld, Mittlerer Niederrhein. PhD thesis, Universität zu Köln. Kegler, Jan F. (2007) Das Azilien von Mas d'Azil. Der chronologische und kulturelle Kontext der Rückenspitzengruppen in Südwesteuropa. PhD thesis, Universität zu Köln. Kegler-Graiewski, Nicole (2007) Beile - Äxte - Mahlsteine. Zur Rohmaterialversorgung im Jung- und Spätneolithikum Nordhessens. PhD thesis, Universität zu Köln. Kenkel, Frauke (2012) Untersuchungen zur hellenistischen, römischen und byzantinischen Keramik des Tall Zira'a im Wadi al-'Arab (Nordjordanien) - Handelsobjekte und Alltagsgegenstände einer ländlichen Siedlung im Einflussgebiet der Dekapolisstädte. PhD thesis, Universität zu Köln. Kokkotidis, Klaus Georg (1999) Von der Wiege bis zur Bahre. Untersuchungen zur Paläodemographie der Alamannen des frühen Mittelalters. PhD thesis, Universität zu Köln. Kourniakos, Panagiotis (2009) Die Kreuzzugslegation Kardinal Bessarions in Venedig (1463-1464). PhD thesis, Universität zu Köln. Koßmann, Dirk (2014) Ägyptische Götter in Panzertracht in der römischen Kaiserzeit. PhD thesis, Universität zu Köln. Köhler, Bilgehan (2005) Villa rustica Frimmersdorf 49 und Villa rustica Frimmersdorf 131. Studien zur römischen Besiedlung im Braunkohlentagebaugebiet Garzweiler I. PhD thesis, Universität zu Köln. Lafli, Ergün (2003) Studien zu hellenistischen, kaiserzeitlichen und spätantikfrühbyzantinischen Tonunguentarien aus Kilikien und Pisidien (Südtürkei): der Forschungsstand und eine Auswahl von Fundobjekten aus den örtlichen Museen. PhD thesis, Universität zu Köln. Lizarraga-Mehringer, Yara (2000) Viscachani y el Precerámico de Bolivia (Tomo 1 y Tomo 2). PhD thesis, Universität zu Köln. Loew, Stefan (2006) Rüsselsheim 122 und die Federmessergruppen am Unteren Main. PhD thesis, Universität zu Köln. Marcks, Carmen (2005) Formen statuarischer Repräsentation von Privatpersonen in Hispanien zur Zeit der Republik und in der Kaiserzeit. PhD thesis, Universität zu Köln. Medved, Ines (2013) Continuity vs. Discontinuity. Epipaleolithic and Early Neolithic in the Mediterranean Southeast of the Iberian Peninsula. PhD thesis, Universität zu Köln. Meffert, Joachim (1998) Die paläovenetische Votivkeramik aus dem Reitia-Heiligtum von Este-Baratella. PhD thesis, Universität zu Köln. Mert, Ibrahim Hakan (1998) Untersuchungen zur hellenistischen und kaiserzeitlichen Bauornamentik von Stratonikeia. PhD thesis, Universität zu Köln. Paetz gen. Schieck, Annette (2002) Textile Bilderwelten. Wechselwirkungen zwischen Ägypten und Rom. Untersuchungen an `koptischen´ Textilien unter besonderer Berücksichtigung unbearbeiteter Sammlungsbestände in Nordrhein-Westfalen. PhD thesis, Universität zu Köln. Rose, Hannelore (2000) Sum figuli lusus ... Die römischen Terrakottamasken in den Nordwestprovinzen. Herkunft, Herstellung, Verbreitung, Funktion. PhD thesis, Universität zu Köln. Rosendahl, Gaëlle (2004) Die oberen Schichten von La Micoque (Dordogne, Frankreich). PhD thesis, Universität zu Köln. Roth, Georg (2008) GEBEN UND NEHMEN. Eine wirtschaftshistorische Studie zum neolithischen Hornsteinbergbau von Abensberg-Arnhofen, Kr. Kelheim (Niederbayern)[in IV Bänden]. PhD thesis, Universität zu Köln. Röhl, Constanze (2010) Shivta. Architektur und Gesellschaft einer byzantinischen Siedlung im Negev. PhD thesis, Universität zu Köln. Schmidt, Christoph (2013) Luminescence dating of heated silex - Potential to improve accuracy and precision and application to Paleolithic sites. PhD thesis, Universität zu Köln. Schäfer, Felix F. (2004) Das praetorium in Köln und weitere Statthalterpaläste im Imperium Romanum. Eine baugeschichtliche Untersuchung und eine vergleichende Studie zu Typus und Funktion. PhD thesis, Universität zu Köln. Sigges, Bernhard (2002) vita cognita . Die Ausstattung pompejanischer Wohnhäuser mit Gefäßen und Geräten untersucht an ausgewählten Beispielen. PhD thesis, Universität zu Köln. Tabaczek, Marianne (2001) Zwischen Stoa und Suq. Die Säulenstraßen im Vorderen Orient in römischer Zeit unter besonderer Berücksichtigung von Palmyra. PhD thesis, Universität zu Köln. Vogt, Simone (2001) Römische Idealplastik in Norditalien. PhD thesis, Universität zu Köln. Wirtz, Rut (1998) Die römische Töpferei Bastion Sterntor / St. Maria in Bonn. Vergleichende Studie zu Töpferöfen für Gebrauchskeramik -. PhD thesis, Universität zu Köln. Zerres, Jutta (2001) Die Ausgrabungen von 1979/80 beim Hafentempel (Insula 37) der Colonia Ulpia Traiana. PhD thesis, Universität zu Köln. Here you find a computer-generated edition of the extant melodies. The West Semitic Research Project is an academic project affiliated with the University of Southern California School of Religion and directed by Dr. Bruce Zuckerman. 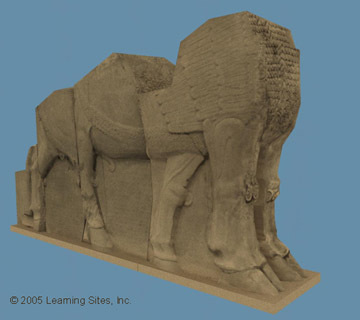 For the past 32 years WSRP has used advanced photographic and computer imaging techniques to document objects and texts from the ancient world. In doing this we have built a vast collection of images that we are now making available to scholars, students, educators and the general public through a variety of ways. Leningrad Codex Bruce Zuckerman and Marilyn Lundberg photographing the Leningrad Codex in the Russian National Library (Saltkov-Shchedrin) as part of a joint project between West Semitic Research and the Ancient Biblical Manuscript Center in Claremont, California. WSRP was started in the early 1980s by Bruce Zuckerman and his brother Kenneth. Bruce, a scholar and teacher of the Bible and ancient Semitic languages, was frustrated by the lack of good photographs of important ancient inscriptions. With the help of his brother, Ken, he set out to remedy the situation. 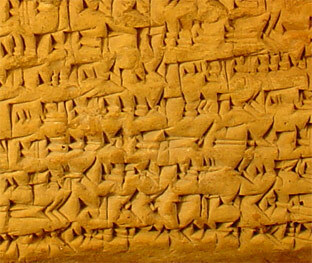 The study of ancient writing is called epigraphy. In this field it has been typical of scholars who read ancient texts to do their own reading, produce a drawing of the text and publish the drawing, translation and transcription as the main tool for study. Photographs, if provided, can rarely be used for study. The reason is that the photographs are either taken by scholars who know little about photography, or by photographers who cannot read what they are looking at and so may miss important data. The most important principle that governs the work of the WSRP is the combining of good photography with knowledge of the scripts and languages. We believe in training scholars to be good photographers, or at least encouraging them to work closely with photographers to get the best possible results. Notre Dame Philosophical Reviews began publication in January 2002. It is entirely devoted to publishing substantive, high-quality book reviews (normal length: 1500-2500 words). Reviews continually appear, usually five to twelve in the course of each week.